The Jetsons, Doc Brown, Slovakia: It seems like everyone has flying cars but us. The Washington Post’s Tuan C. Nguyen reports a Slovakian start-up unveiled its AeroMobil 3.0 at the Pioneers Festival in Vienna’s Hofburg Palace on Wednesday, showing off the amazing moment when a car becomes more than an automobile shackled to the roads. In a video posted to the report, the latest iteration of the flying car takes off with the ease of a remote-control glider. Now it might not look like what George Jetson was using to commute to Spacely Sprockets, but we will gladly take what we can get. Now we are sure the mere sight of a car going from ground to air is enough to garner throwing money at the screen, but you might want some details. Nguyen reports the AeroMobil can reach an air speed of 100 miles per hour and can cover 500 miles. The most important thing to remember is that the flying car doesn’t come with the same pressurization features of an airplane, so it can only reach 9,800 feet in the air. But we hope flying in the cabin the size of a Mini Cooper at 10,000 feet is enough of an adrenaline rush for you. The co-founder then went on to explain the positives of something like the AeroMobil, namely not having to use a hangar and burning less fuel than you would normally. 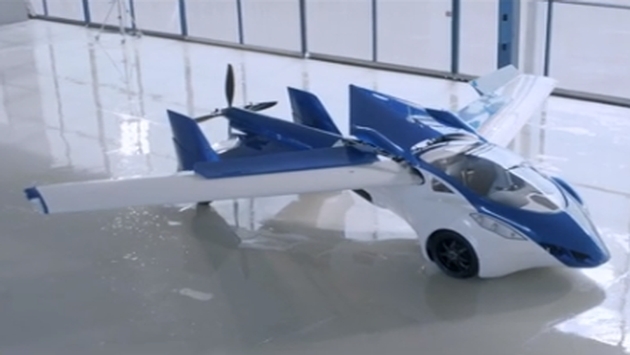 Efficiency aside, the best reason to ever have a flying car is that it’s a car that flies. That being the case, we throw our support to Slovakia and its dedication to finally bringing us the aerial conveyances we so desperately need.